old, iconic and new :: a stool and a light. | owl's house london. old, iconic and new :: a stool and a light. Having grown up in Australia, I made my first acquaintance with the Moomins rather later than my Swedish/Finnish counterparts. Enchanted still, I love the expressive, stylised images and beautiful linework of Tove Jansson’s illustrations, not to mention the characters themselves. Alvar Aalto stools are the archetypal stool (I have two, and they won’t be my last). 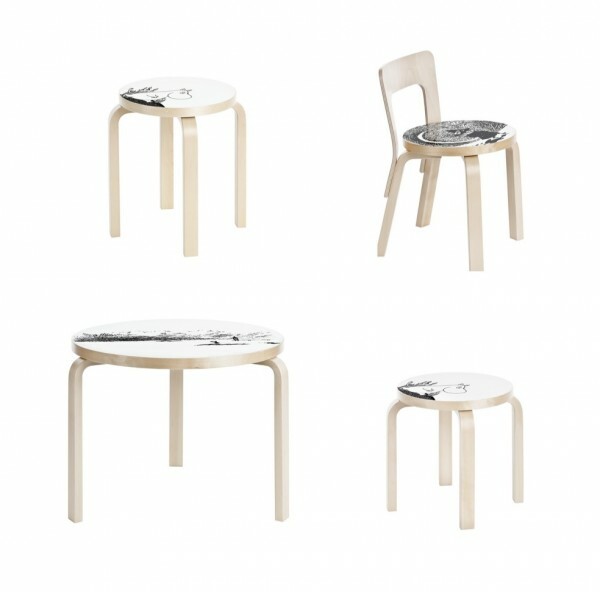 Finnish brand Artek is releasing four pieces from the Aalto collection with Moomin characters lolloping across the face. Table 90B, Stool 60, Children’s Stool NE60 and Children’s chair N65 are all participating. More Artek re-releases from an earlier post, here. More from Artek, here. 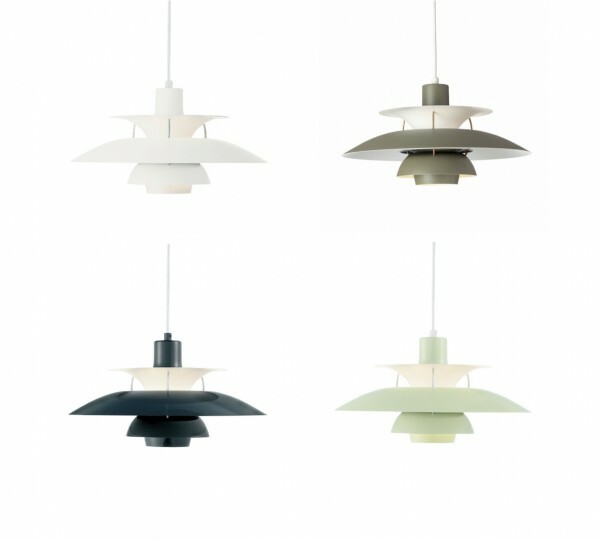 Another exciting re-issue, Louis Poulsen’s wonderful, iconic PH5 (I wrote about a perfect pendant, here) has been released with new colour combinations, including coconut white, army green/dark grey, dark grey/turquoise and wasabi green. The spacers which hold the shades in position are finished in bronze, and they are all a soft, matt finish. I love the soft coconut white-on-white, and the dark grey/turquoise; what about you? More, here. Also love this round-up of five modern design icons in Dwell, including Eero Aarnio and Lina Bo Bardi, here. This entry was posted in bits + pieces., happenings. and tagged Alvar Aalto, Artek, design, eero aarnio, iconic, Louis Poulsen, Moomin, moomins, PH5, Tove Jansson on August 23, 2013 by owls house london..